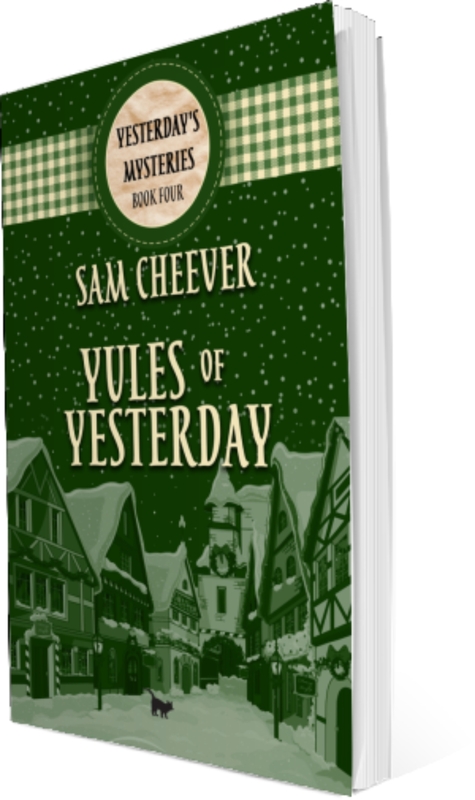 Sam Cheever has a Fun New Cozy Mystery! Come to Silver Hills. Where an old nemesis can lead to new trouble and murder is a line item in a business plan. Vlad Newsome isn’t exactly known as a people person. He’s really more contentious than convivial. But something’s changed with him, and Flo and Agnes are suspicious. Vlad’s suddenly “peopling”. He’s shaking hands and even curving his thin lips upward at times in a terrifying imitation of a smile. Could it be he’s turning over a new leaf? Is he facing a life-changing event that’s made him grow as a person? He’s up to something. And Flo and Agnes are determined to find out what. When a woman who had a beef with the reprehensible creature of the night known as Vlad Newsome turns up dead in her home…Vlad appears to be the culprit behind her murder. Silver City PD certainly believe he’s guilty. But Vlad insists he’s innocent. 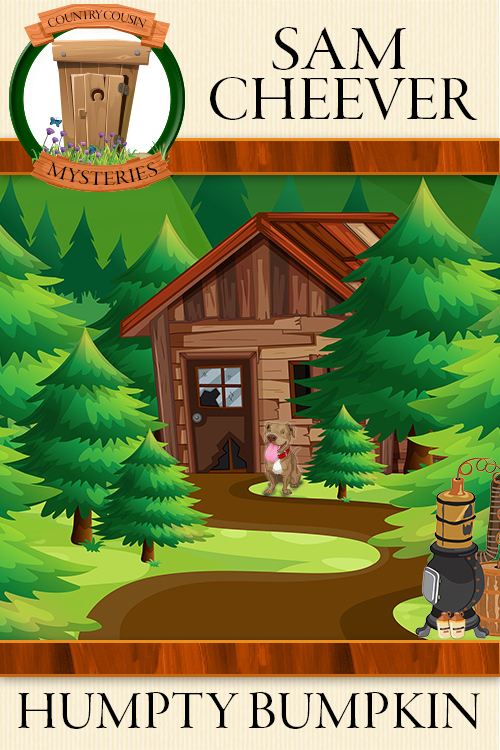 It’s going to be up to Flo and Co. to solve the murder and find the “real” killer. Unfortunately for everyone involved, the ladies aren’t totally certain Vlad isn’t the murderer. Will Flo and Co. walk away…leave Vlad to defend himself? If you believe that you haven’t been paying attention. After all, this is Flo and Agnes! “Maybe somebody died,” Agnes offered. 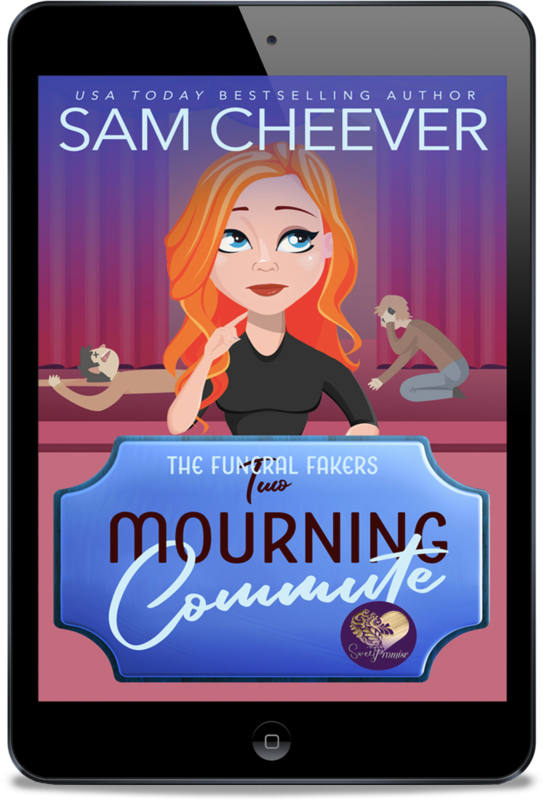 “While I realize being a vampire could be considered another culture…I doubt any of Vlad’s victims or their families would celebrate death by fang.” Flo ducked, pulling the branch with her, as the goth version of a night manager skimmed a look her way. Regrettably, her movement totally exposed her fellow stalker. Another man approached Vlad and, unbelievably, the usually unfriendly night manager offered the tall, tough-looking man his hand. They shook vigorously and Vlad actually leaned close, whispering something to the other man that made him smile. “What the?” Agnes stood up, glaring across the street until Vlad turned her way. Then he said something to his new friend and started toward them, his dark eyes flashing with anger. “Why not?” Flo asked. “I’ll admit the pay’s not great but it would be nice to have a little extra income, wouldn’t it?” Agnes didn’t actually have any income at the moment. She was able to live at Silver Hills because of an inheritance from her parents, which was just enough to pay for her apartment there and not much else. “Hey!” The snotty, strident voice assaulted them from across the street. “We can’t just ignore him,” Agnes said as she began to turn. 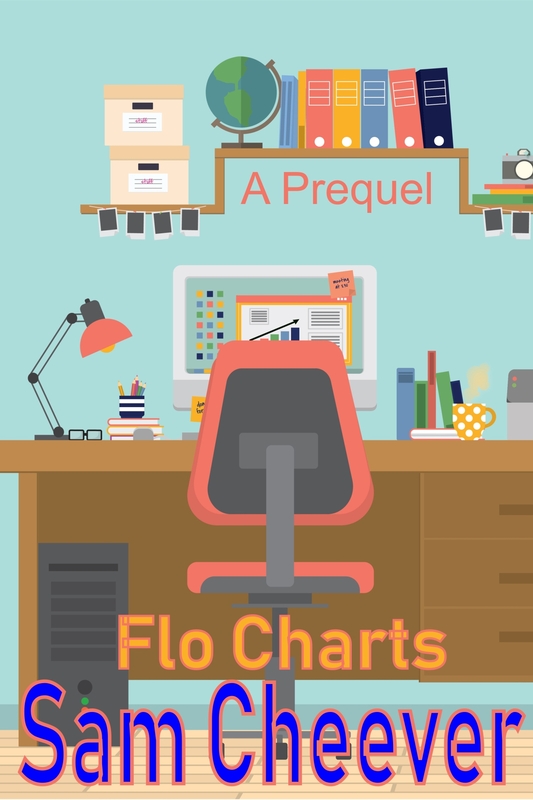 “But if you get the job he won’t be able to threaten you with that ever again,” Flo reminded her. The cranky night manager curled his lip and oozed to a stop deep inside their comfort zone. Flo fought irritation. The man knew perfectly well who she was. He just liked to pretend she was so unimportant he couldn’t remember her name. She clamped her lips down on the desire to give it to him again. It wouldn’t make any difference and would allow him a win. She was all about not giving Vlad Newsome a win. He turned a piercing, nearly black gaze toward Agnes. Flo saw her friend twitch, her eyes widening as if she couldn’t look away. Vlad chuckled darkly, clearly enjoying Agnes’ hysteria. Flo reached out and punched him in the arm. Fortunately, when he looked away, Agnes broke the spell she’d put on herself. She glared at him. “You won’t stop me with your vampire ways,” she told him angrily. “That’s exactly what a vampire would say when it was about to be outed,” Agnes told him smugly. The cat definitely has an instinct for and proclivity toward people who are on death’s doorstep. Finding and avoiding a killer is a really tough way to spend your first days in a new place. Agnes truly does have a unique talent for debauching a crime scene. There was no sound of footsteps on the tile of the hallway. Nobody called out. There was no hint that they’d been joined by another person. But suddenly Flo knew he was there. Vladwick, or Vlad as they called him, glided forward, the light from the parking lot beyond Betty’s window catching him just below the eyes and framing the black orbs of his gaze and the slicked back hair with the dramatic widow’s peak. Flo and Celia shared a look and Celia shook her head, clearly disgusted. “This woman was murdered,” Celia told him with a little too much relish. Fortunately, Celia didn’t go into the specifics of how she knew. Flo wasn’t sure she could hear it again without hurling. “I do…I do…I do…” Celia responded. Grinding noises came from the creature standing beside the bed. Flo really hoped he didn’t fracture a fang. The grand parlor was done up in its usual, breathtakingly spectacular fashion, with candles twinkling from every surface, silver silks draping the massive tree in the very center of the huge space, and the familiar scent of pine coming from yard upon yard of fresh pine boughs decorating the room. The boughs were wrapped in red velvet ribbon and sparkled with thousands of glass beads that captured the flickering candlelight and turned it into fairy magic. Young Elizabeth Nelson hid behind the banister of the upstairs walkway and watched through the wide double doors as the graceful beauties in the ballroom swayed and flirted behind delicate lace fans, their dashing dates fawning outrageously. She sighed, her eyes tearing up with happiness at the sight. Someday she’d be a lovely dancer, with a slender frame made perfect under the auspices of whalebone and strapping. She wouldn’t even mind the discomfort of having her innards compacted, as her beautiful cousin Charlotte liked to lament. Lissie’s nine-year-old waistline had a ways to go to even become compact-able. Eyeing the elegant dove gray silks, burgundy-toned sashes, and emerald satins on the women swaying to the waltz far below, Lissie knew she’d be the Belle of the Ball one day. The thought made her smile, despite the moisture in her eyes that made stars dance around the candles. There was a commotion near one of the veranda doors and she turned to find Papa returning from a smoke in the gardens with several older gentlemen of a certain wealth and status. The men had rosy cheeks and were even more animated than usual, no doubt nurturing the brisk December air in the center of their well-padded breasts. Lissie watched her Papa with a regretful gaze, knowing that if she were down there with him he’d wrap her up in his big strong arms. He’d smell of crisp clean air and his favorite pipe. She’d love nothing more than to sit on his substantial lap and watch the dancing from only a short distance away…to experience the music as the dancers were…a beautiful memory in the making. The thought made her sigh wistfully. A servant ran up to Papa and whispered in his ear. His handsome round face folded into a sudden frown and he nodded briskly, quickly addressing his friends before hurrying away to attend to whatever the servant had revealed. Lissie returned her attention to the dancers, her small chin propped on a pale, pudgy fist. She was so entranced by the people and the music the first scream didn’t quite register in her mind. It wasn’t until a moment later, when one scream became several and the music stuttered to a halt, that Lissie finally turned to see what horrible consequence had occurred to mar the annual Nelson Christmas Ball. A beautiful young woman Lissie knew all too well stumbled out of the downstairs hall and fell against the banister. She was white as a sheet and her beautiful dress was covered in a glossy splotch of vivid red blood. Lissie leapt to her feet with a gasp as she realized the woman was mortally hurt. She was ready to run down the stairs. To help in any way she could. But then Papa ran from the shadows, his face pale as paper and his big hands covered in blood. In that moment Lissie realized her comfortable, beautiful world might have been irretrievably lost. That was when she screamed. When the nine-year-old saw a version of her much-anticipated future she didn’t want to see. And when Papa’s haunted gaze lifted to hers, it was the reason Lissie ran sobbing away from him, instead of into his once comforting embrace. Pratt’s big hands clutched the steering wheel, capturing Anna’s attention and holding it as the sun caressed the bleached blond hairs along his strong forearms and burnished his short-cut dark brown hair. She smiled, feeling lucky to be in the company of her two favorite men, heading for a party. It was true. The last time they’d visited the big, historical Hall it had been in a terrible state of disarray, with overgrown trees and grounds, a broken gate and crumbling structures everywhere. Duncan himself had been broken, a lonely man who’d given up on life. But things had changed for the better at Nelson Hall and Anna knew she and her friends had had some small part in that. Not the least of which was returning one of Duncan’s ancestors to the fold to keep him company. With that thought in mind, Anna turned to observe the overly quiet passenger in the backseat. Joss had his trademark cowboy hat pushed back on his head and was perusing the spectacle on the hill with a slight frown on his handsome face. She took a beat to enjoy the view, taking in his long, muscular legs, thick dark gold hair and broad, chiseled jawline, complete with a permanently etched stubble that made him seem a little bit dangerous. A useful thing in a ghost from the 1800s. “Penny for your thoughts?” she offered with a smile. Anna saw the quick concern darkening Joss’s handsome features before he quelled it. She wondered at its cause. He’d had a similar reaction every time they’d mentioned seeing the sweet but troubled ghost again. Even though he’d worked hard to hide it from her. “Are you glad to be seeing her?” she asked softly. “The past ain’t inclined to stay there, Puke,” Joss grumbled. “Me and Bessy and Lissie are proof of that.” Still, when Pratt pulled around the newly repaired fountain to the base of the wide front steps, Joss did perk up and look a bit happier. Anna shoved her door open and stepped outside, her gaze drawn immediately to the happy fall of water from the large fountain. The naked woman at its center carried a stone vessel on her shoulder and the water sprouted from the top of it, cascading over the pocked form of the ice-covered statue and splashing in silvery sparkles into the deep basin at her feet. Red and green lights, fixed on the inside lip of the basin, bathed the woman’s form in Christmas colors. The last time they’d visited Anna remembered the basin had been full of leaves and it had been dry. Certainly, there had been no cheery lights. “Much better than before,” he agreed with a nod. Joss inclined his head and, after throwing Pratt a look filled with meaning Anna couldn’t decipher, he disappeared. She would have asked Pratt what the look had been about, but Duncan was frantically ushering them inside. She made a mental note to ask Pratt later. It wouldn’t be the first time the two men made a plan behind her back. Usually it involved ensuring her protection. She didn’t mind the fact that they cared about keeping her safe. It was the implication that she needed protection at a Christmas party that was making her stomach tighten. That thought threatened to put a damper on her day. Fortunately for her the dire thought was chased completely away when she stepped through the door. And found herself smack dab in fairy land. She skimmed him a look and found him grinning widely. A ponderous knocking sound filled the space, halting Anna’s response. “Duncan seems changed,” Pratt said from behind. “Maybe she just didn’t want to talk to you,” Pratt said unhelpfully. “Shut pan, Puke. ’Sides, I ain’t no coot. I cotton when to skedaddle.” He shook his head, clearly insulted that Lissie hadn’t been happy to see him. “She’s probably just feeling the pressure of the party. Apparently, Duncan has relied pretty heavily on her to make this event just like the ones his family used to hold here.” She twisted her fingers together before she gave in to the desire to touch him. All that would create was pain and sparks. Not exactly comforting. She’d have to rely on words. But they didn’t seem enough. Ever since she’d temporarily lost him due to a murderer’s scheming, Anna couldn’t seem to stand the thought of him being, even slightly, unhappy. Joss scrubbed a hand over his square chin, seeming to consider her suggestion. “Good luck,” she told him on a smile as he popped away. A brisk wind filtered past as Duncan held the door open for his new arrivals. Anna shivered, rubbing her arms. Something dark slipped through her consciousness and she had a moment’s panic that the cold was more than a gust of outside air. She turned at the familiar voice, which squeaked just a bit at the end of her name. Pierce Johnson shoved long fingers into his unruly red hair and grimaced, quickly patting the shiny curls back into place. He was dressed with his usual tidy perfection, in ruthlessly creased charcoal slacks, which were too short as usual and showed striped red and white socks beneath the cuffs. The socks were folded an exact and careful inch from the top. He wore a red button-down shirt whose sleeves were also creased and the tails were tucked with manic precision into the usual white belt holding his trousers around a narrow waist. The eighteen-year-old autistic man seemed uncomfortable in the new place, his gaze downcast and his fingers twining nervously together. “That’s his new favorite word,” a woman laughed, coming up to him and giving him a quick hug that he shrugged off with a frown. Anna didn’t comment, knowing Duncan’s sister could have been with him if she’d considered family over her own desires. “I didn’t know Scarlett was back,” Pratt offered. “After what happened at the Ball, I assumed she’d get as far away from Crocker as she could.” He smiled when he said it, but Anna knew the sentiment was real and she shared it. “Pierce Adam Johnson, you apologize right now,” Heather scolded in an urgent whisper. Pierce nodded, his lips turning up at the corners. Avoiding her direct gaze, Pierce pointed toward the curved staircase in the center of the big room. Anna didn’t see Lissie. Or any other ghosts for that matter. The realization bothered her and she glanced at Pratt. He shook his head as if he could read her mind. He couldn’t see her either. “Is she there right now, Pierce,” Pratt asked softly. Pratt winked at the teen before he turned away, feigning unhappiness at being dragged back home. His words were swallowed up in the arrival of another small group of guests, but Anna felt their impact like a punch in the gut. Anna’s stomach clenched around a sudden jolt of fear. She tried to pull air into her lungs and discovered that it wouldn’t come. Her world spun and she reached out with one hand, feeling for one of the gilded, upholstered chairs Duncan had placed in conversational groups near the tree. Pratt grabbed her as she stumbled, easing her into a chair. He leaned down as her chest started to heave under a wave of certainty that things were going to go horribly wrong again. She knew he was questioning her, trying to soothe. But she couldn’t hear a thing beneath the roaring in her ears. Only two little words rose above the cacophony. Surging from the chaos in her mind to cause her knees to weaken. Not again. The words throbbing with fear. Please god, not again. Don’t let her start the ugliness all over again. The best books yank you into their world, wrap you in a warm gauze of pleasure, and set you free to bobble upon the surface of a rich and immersive story-line. Hopefully, at the end of that experience you emerge energized, satisfied, and ready for more fun. But there are soooo many books to choose from. And you have limited time in your day for reading. You need to choose carefully. 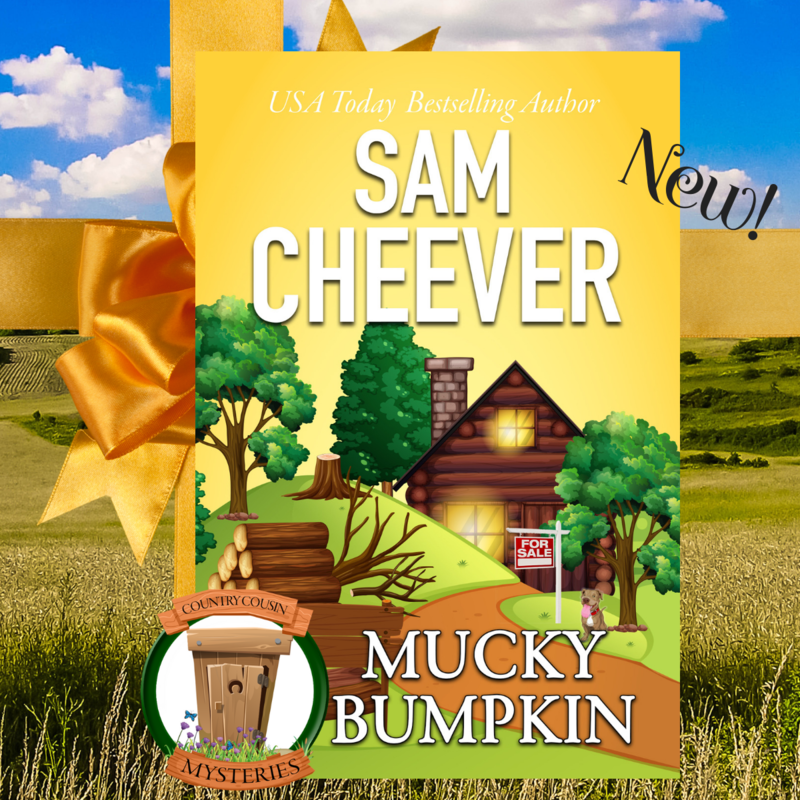 So why choose a Sam Cheever book? So, why don’t you take the plunge? Indulge that adventurous spirit. Treat yourself to a little harmless fun. You’ve certainly earned the right. 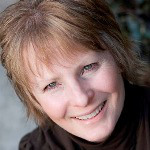 ONLINE HOT SPOTS: To find out more about Sam and her work, please pay her a visit at any one of the following online hot spots: Her blog: http://www.samcheever.com/blog; Twitter: http://twitter.com/samcheever; and Facebook: https://www.facebook.com/SamCheeverAuthor. She looks forward to chatting with you!